Kiteboard 4 Cancer empowers individuals to harness the power of wind and water to benefit lives affected by cancer. KB4C is a festival for all that celebrates life through the healing powers of facing challenge in the elements, benefiting a cause that affects all of us. 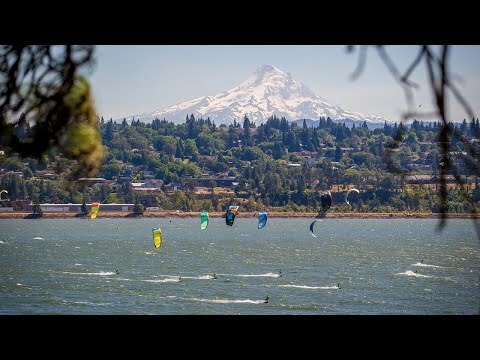 The main event is a 6-hour endurance kiteboarding race in the mighty Columbia River that challenges men & women physically and mentally. This is The Kite Derby, designed to embody the battle that someone facing cancer endures every day. KB4C benefits Project Koru, a Hood River non profit that empowers young adults with cancer to find healing and life renewal through outdoor adventures and community. The organization and its' programming was founded from Kiteboard 4 Cancer funding. The event takes place between the 12th and 14th of July, in Hood River, OR. For more details, please visit the official website.